Rally East – Page 3 – The home of Rally in the Maritimes! Unfortunately Sunday’s RallyCross event at Scotia Speed World has been CANCELLED. Warm weather and rain with warmer and wetter on the way means the lot is very soft and not suitable for use. Next event is March 5th! Stay tuned for details! 2017 BAC RallySprint #1 Results! Results of Sunday’s Bluenose Autosport Club RallySprint at the Conrad Bros’ quarry have been posted! The first TSD Rally of the season is upon us! Saturday, February 25th is the Musquodobit Midwinter Rally put on by the Bluenose Autosport Club. This event will start and end in Enfield and cover roughly 190km of great back country roads in the Musquodobit Valley area! Click here for full Supplemental Regulations! If you’re not familiar with TSD (Time/Speed/Distance) rallying, it is a very accessible form of rally requiring only a legal street car and two crew members. Teams depart the starting location on a set minute and follow instructions provided by the organizers. Along the route are checkpoints that must be reached on the correct minute by following the directions and speeds provided precisely. Penalty points are assigned for reaching a checkpoint early or late. No special equipment or experience is required! TSD Rally is truly one of the most accessible forms of motorsport. For more details about TSD Rallying see the RallyEast informational page here! In order to help the organizers plan and provide enough materials teams are strongly encouraged to indicate their interest in advance on the ARMS forum or by emailing the organizers via the contact details in the Supplemental Regulations. The 2017 Canadian Rally Championship kicks off at Rallye Perce-Neige Maniwaki! There’s no real rest in the world of rally and fresh into 2017 we’re already getting started with the new season of the Canadian Rally Championship. 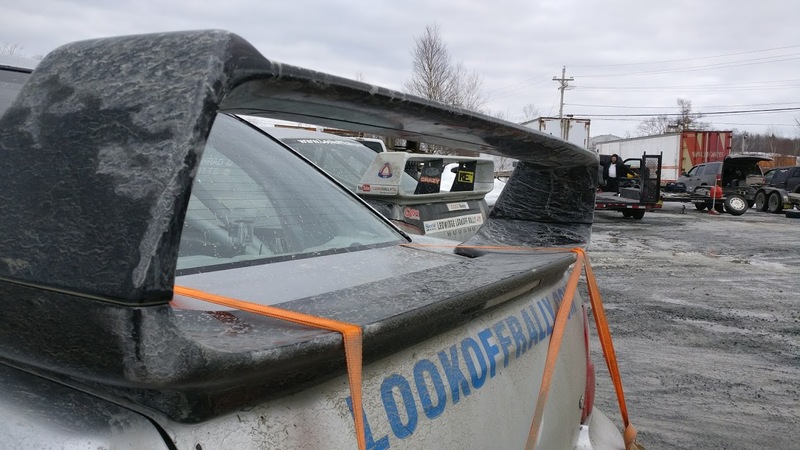 This weekend teams from all over North America converge on the snowy roads of Maniwaki, Quebec for the 52nd running Rallye Perce-Neige Maniwaki, one of the most challenging events on the CRC calendar! 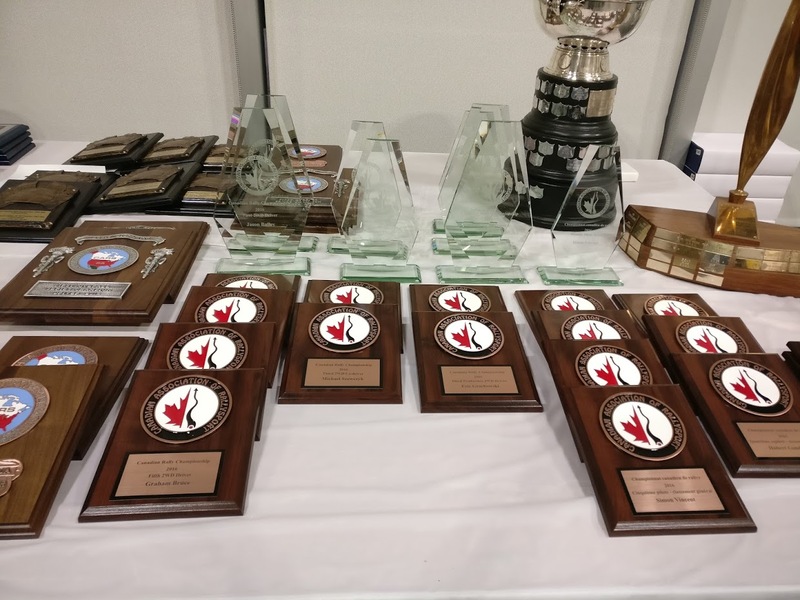 This year adds something different as RPN is now part of the nascent American Rally Association Championship as well, so not only do you have the top teams in Canadian rally showing up to compete but some of the top teams from US Rally as well! Canadian Heavyweights such as Antoine L’Estage/Alan Ockwell and Boris Djordjevic/John Hall will duke it out with the best the South has to offer in Subaru Rally Team USA’s David Higgins/Craig Drew and Travis Pastrana/Robbie Durant! The battle of the Subaru Factory teams on snow and ice! Also notable is ‘Crazy’ Leo Urlichich’s return to Canadian Rally in a Can-Jam prepared Production(!) class Subaru Impreza alongside Co-Driver Alex Kihurani. Jeremy Norris also makes his first return to rally as well in a brand new Subaru Impreza STI after rolling and irreparably damaging his car at this event in 2016. The roster is full of notable names all the way down the list and the show is sure to be one to watch! Locally, a last minute substitution has taken place which has Mal Swann taking over the drivers seat for Maxime Méconse, who was forced to withdraw from the event. Mal will compete next to Tim Dine in a Freedom Shop prepared Production Class Subaru Impreza. Mal and Tim previously contested RPN in 2016 in Mal’s 1st Generation RX7, affectionally known as ‘The Fritter’. Rally Perce-Neige Maniwaki takes place this Saturday, February 4th and you can keep on top of all the excitement with live vehicle tracking and scoring on the always amazing CDNRally.com. Detailed results and tracking will also be available on RallyScoring.com. Good luck to all competitors, stay warm, keep it between the snow banks and HAVE FUN! Sunday’s cancelled Bluenose Autosport Club’s RallyCross Event #4 has been rescheduled to this Sunday, February 4th at Scotia Speed world! See you there! Click here for details on Facebook! Unfortunately the lot conditions have proven too soft for us to have our RallyCross event at Scotia Speed World tomorrow so we’re forced to cancel. See everyone at Round 5 at Scotia Speed World on February 12th! Due to warm weather, lots of rain and not enough freeze Sunday’s RallyCross MAY be cancelled. The call will be made tomorrow afternoon. The announcement will be made on the Bluenose Autosport Club Facebook Group as soon as the decision is made and I’ll make best effort to post it here and to Facebook as soon as possible. Check back tomorrow afternoon for updates! A new year of Rally Excitement! Happy 2017! 2017 is here, which honestly sounds like we should be zooming around in flying cars or living in the Matrix, but whatever, lets go rallying instead! The first rally event 0of 2017 in the Atlantic region was very special, even though it didn’t involve rally cars, helmets or even going sideways! Well… maybe some of the attendees got sideways afterwards, we don’t tell. The Canadian Association of RallySport held their 2016 Annual General Meeting in Halifax last weekend with hosting by the Bluenose Autosport Club, a first in many years for our region. Club and competitor representatives from all over Canada met for administrative meetings, discussions and voting at the Westin Hotel on Saturday before heading off to the surprisingly comfortable showroom of Steele Subaru for a fabulous down home Atlantic dinner before handing out Regional, National and International trophies. Record breaking National Champion Antoine L’Estage was on hand to accept his 9th Canadian Rally Championship. The winter is no time to rest for the busy Atlantic Canadian Rallyist, however! The 2016-2017 Bluenose Autosport Club’s RallyCross series continues where it left off with the first event of the year this Sunday at Scotia Speed World! Conditions are sure to be challenging with snow, rain and cold making an appearance over the last several days. Come on out and live life sideways! In Performance Rally News a new Stage event has been added to the 2017 Calendar. February 19th will see the region’s first winter stage rally event with a RallySprint at the Conrad Brother’s Quarry in Dartmouth, Nova Scotia. RallySprint events are the next evolution of rally after RallyCross, requiring a caged and logbooked vehicle and personal safety equipment. For full details see the General Competition Rules on the CARS website. But wait, don’t have a caged car to run the RallySprint? Well there just happens to be a rally car for sale right here in Nova Scotia! 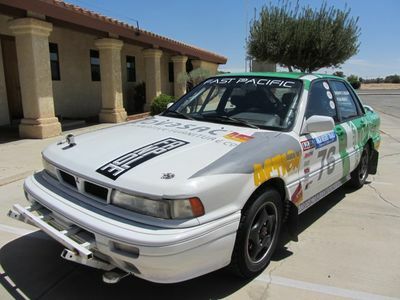 This 1992 Mitubishi Galant VR4 is nearly ready to run RallySprint events with very minimal updates. Just add a logbook, buy/borrow some safety gear and go rallying! There’s still time before February 19th!T he car is listed for $7000 and is currently located in Middleton, Nova Scotia. For details see the Facebook Post. Remember that there’s activities for everyone, no matter your abilities or means in Atlantic Canadian Rallying! Looking forward to another great season of sideways! Rally rally rally!